Welcome to the (Un)Official Legacy and Challenge Story Update Thread! As inspired by this lovely post, I've put together an (un)official Legacy and Challenge Story Updates thread! In the linked post, updates are suggested to be posted in weekly/monthly chunks by a moderator. However, I feel that updates should be posted as soon as an update is made - it allows for a much quicker response. 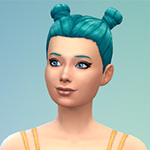 In light of that, (and, perhaps as an experiment to see how it works out), it'd be absolutely wonderful that if you were a legacy or challenge story writer for The Sims 4 (respective threads for the The Sims 2 & 3 have already been set up) that you would post your updates and a cross thread link straight after you post your new update. But as long as it's posted with a link to the main legacy thread, and the update, it should be fine. This update thread, if it works out, would be a great place to promote a legacy to other readers, and to plug your legacy without feeling bad! Puff it up a bit, add a pretty picture, give an update summary, whatever floats your boat. The main reason of this thread is to promote your story and encourage more readers towards it in the hopes of comments to improve or re-affirm your story itself! Once all the chapters for a month have been posted, I will make a massive post into the thread containing links to all of the updates. All updates will be posted on the 1st day of each month if so possible! - Please follow Boolprop's ruleset, first off! - Do not link to anything unacceptable by Boolprop's rules. - There's no need to post the same update multiple times, you'll get a nice little bump at the end of the month. - You're allowed to make one post to be able to monitor the thread (i.e. get it to show up in the "View your posts" feature, though I'd just recommend subscribing). - Asides from that, no off-topic posts - no comments on legacies, etc. Save those for the actual legacy threads! - Treat others with respect in this thread! Anyway, that's the boring intro stuff done, let's get down to the real business of updating! Ladies and gentlemen, begin your shameless self-advertising! Battle of the Belles Rival Dynasty has been started! Come join Becky and her Wacky Kids and see where the future leads them all! A poll is currently available to choose the very first Heir/ess! Don't forget to Vote Now!!! The Disney Legacy has been updated. Babbling Brooks, an Insane Sims 4 Legacy has been started and updated! Wu-hoo! A Legacy has been updated! Generation 4 Heir Poll! Vote now! LostInReverie wrote: The Disney Legacy has been updated. Chase wrote: Wu-hoo! 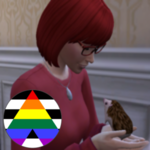 A Legacy has been updated! You tried, Sims 4, you tried. The Prosperity Challenge Story has been updated! Its actually kind of sad that there haven't been very many updates. But I have one! And there will be more from me soon. Updates almost daily at 7am. Bokavoy wrote: Its actually kind of sad that there haven't been very many updates. Ninaumi's Prosperity Challenge Story has received an update! ninaumi wrote: The Prosperity Challenge Story has been updated! And don't forget to check Jenn's History Challenge! I just started my 100 Baby Challenge today, too! Just started my first ever Legacy Challenge! The Miskin Legacy - From Misery to Merit? You can also click the image in my signature! Hiya! After a long absence, I'm dipping my toes back in the Sims 4 fandom yet again. I'm working on an Immortal Dynasty Challenge over on the Carl's Guide forum. Here is my thread on Boolprop. I've mostly been posting directly in the forum on Carl's Guide. Still trying to decide if I want to host it elsewhere, and if so, where.